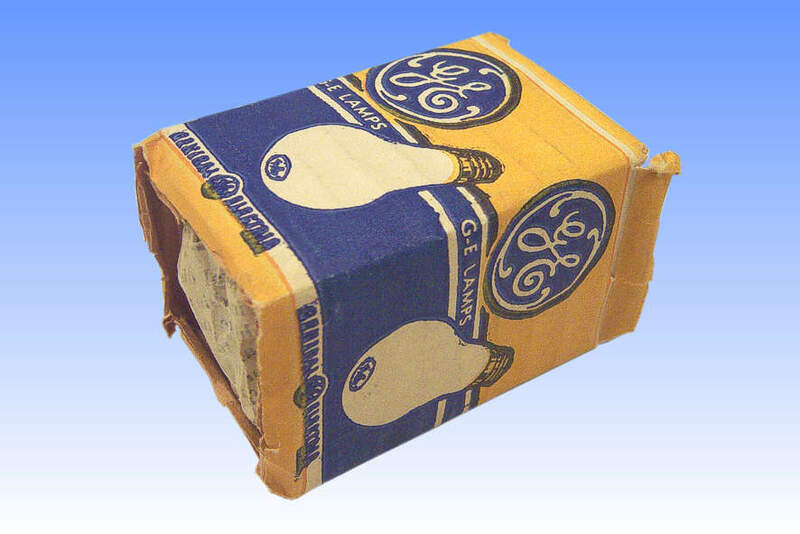 In the 1940's GE developed a new mercury light source for the very efficient production of shortwave ultra-violet radiation in a small package. The application was as a source of ozone, a very reactive gas which has excellent disinfection and odour-destroying properties. 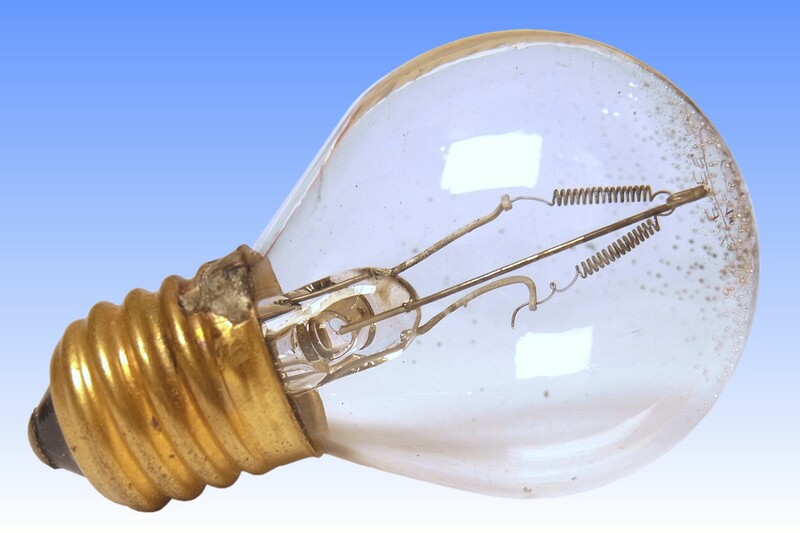 The lamp consists of a V-shaped coiled-coil tungsten filament operating inside a bulb filled with argon and a quantity of mercury. The glass is of the germicidal type having a low iron oxide content, and this allows it to transmit short wavelength ultra-violet rays efficiently. 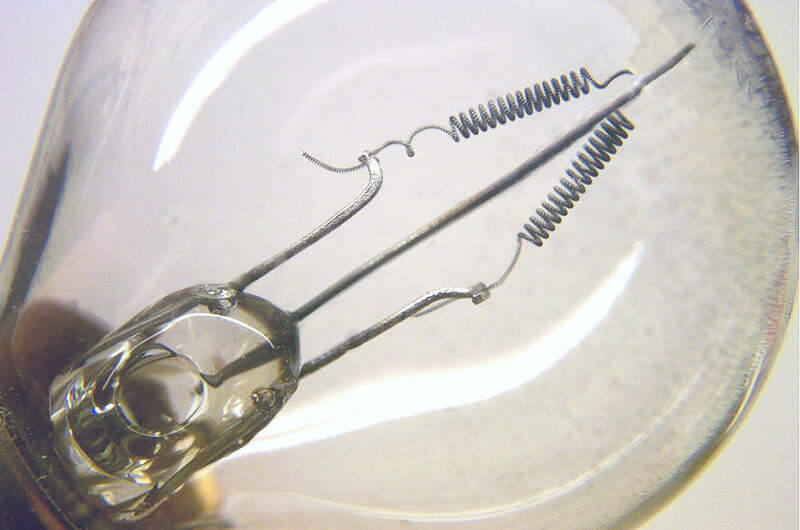 When operated on a simple choke coil, the filament becomes incandescent. 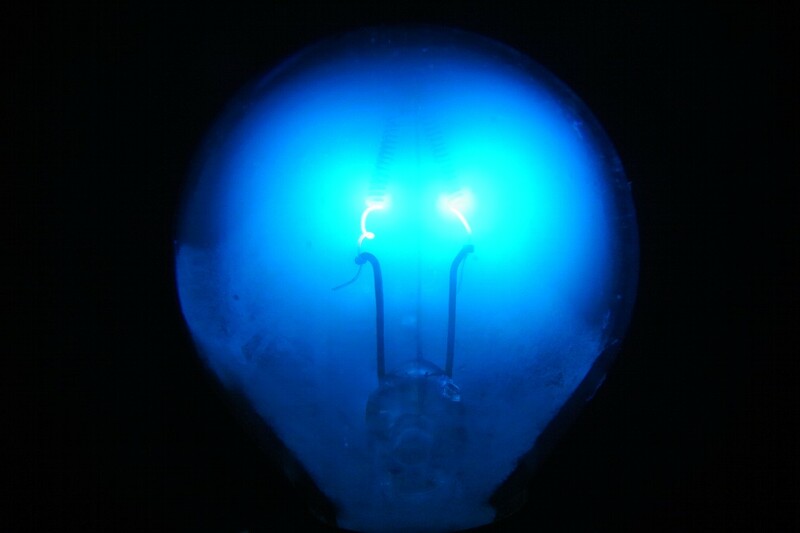 Thermionic emission takes place in the low pressure argon around the filament, and leads to ionisation of the mercury vapour. It is this process which generates ultra violet radiation mainly at 253.7nm and shorter wavelengths. These wavelengths naturally lead to the ionisation of oxygen molecules in the air outside the bulb which subsequently recombine to form ozone. 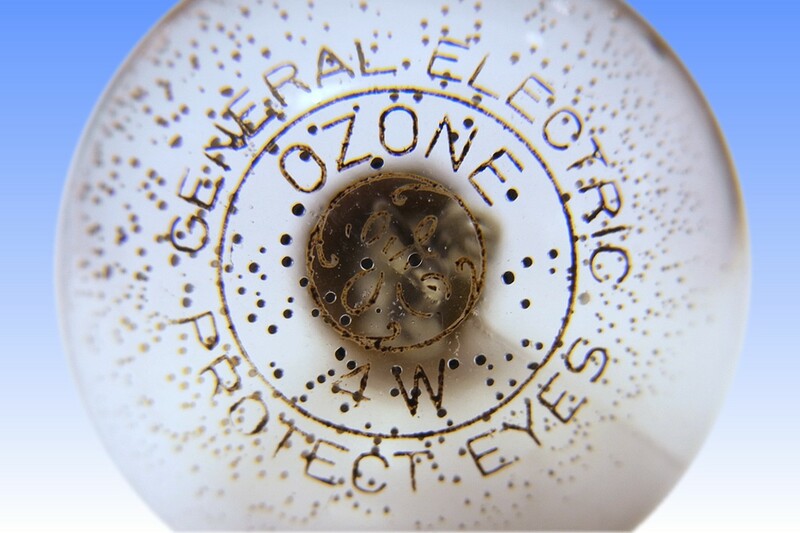 Ozone is a highly reactive species and rapidly combines with many airborne molecules leading to their oxidation. Thus any molecules which would ordinarily be detectable by their odour in the air can be neutralised with remarkable speed and efficiency from a small ozone source. In recent years these ozone producing lamps have fallen out of fashion, owing to the fact that ozone itself is poisonous and can do more harm than good if the lamp is left on for too long and ozone concentrations build up. In addition the very short wavelength UV is harmful to the eyes and fittings must be made to keep the lamp away from view.